The Brick Presbyterian Church has long been a religious, community and educational institution on the Upper East Side. 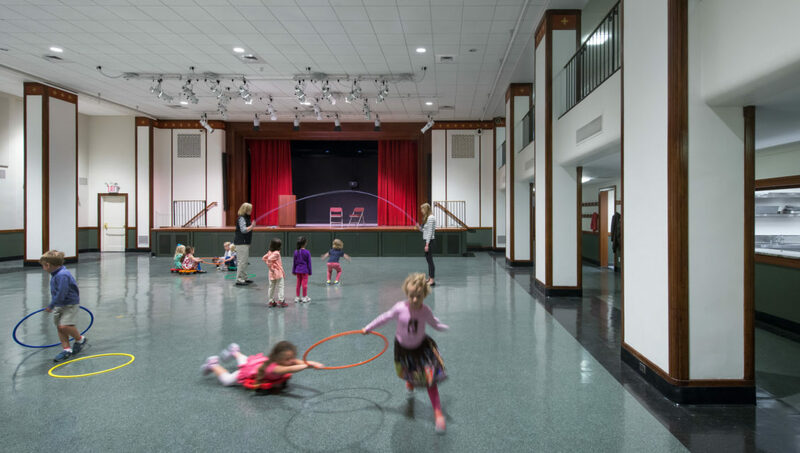 After the successful redesign of their school offices, leadership at the Brick Church entrusted Fradkin & McAlpin to design and guide their signature renewal project in anticipation of their 250th Anniversary. 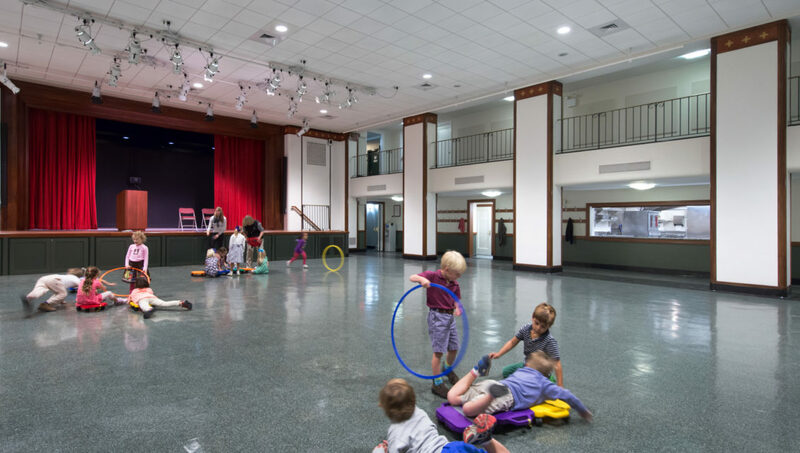 Watson Social Hall, originally funded by Tom Watson, of IBM fame, had suffered nearly 40 years of minor modifications, rendering it worn and tired. 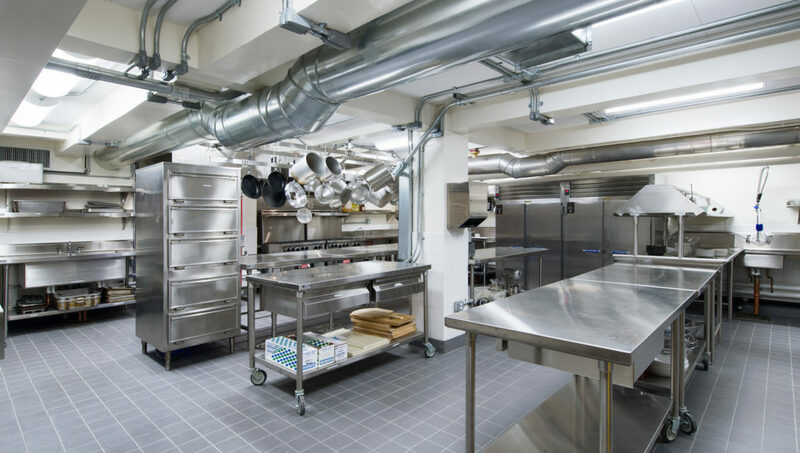 Focusing on its good “bones” FMA refreshed it with new lighting, an expanded stage with up-to-date theater equipment, a restaurant grade kitchen, and new restroom facilities. 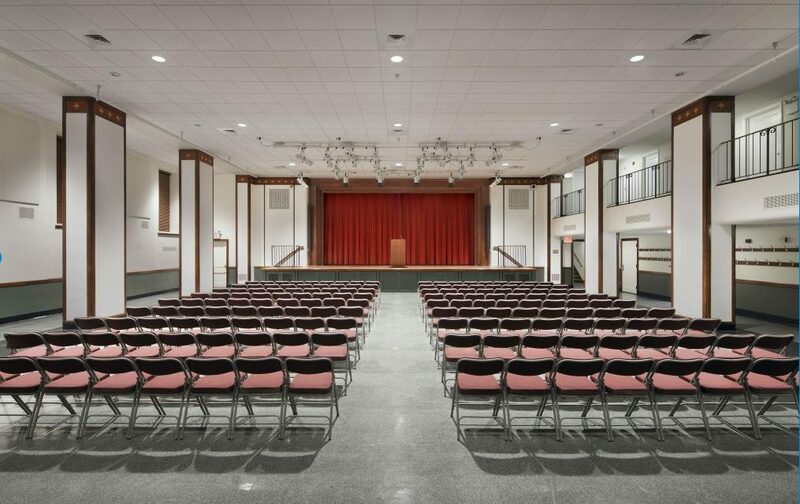 Additionally, the support and storage spaces adjoining the Hall were reorganized to best accommodate the diverse needs of its many different user groups. At the celebratory opening of the New Watson Hall, a long-time parishioner commented, “This is the same Watson Hall, only it is new, fresh and contemporary,” succinctly summing the project objectives.